If you have the great fortune to come across some Jerusalem artichokes (sometimes they are also called sunchokes) in your local grocery store or at your local farmer's market, then you definitely have to take the opportunity and make some soup! Jerusalem artichokes feature such an interesting and unique flavor that is earthy, full bodied and separate from almost anything else in the food world. If you serve a bowl of soup to somebody who has never tried it before they will most likely be confounded, yet delighted at the complex and special flavor which this little root can give soup or other dish. The only annoying thing about using the Jerusalem artichoke is peeling it! This root is chubby and features lots of little crevices where dirt easily get stuck. Your best bet is to scrub it carefully, and then to peel it roughly. When it comes to making soup with this delicacy, you really have two options: you can either make a very simple and clean soup where you completely enhance the flavor of this root by utilizing few ingredients. This dish requires a large amount of roots if served as a main meal, which can get expensive, since you will usually have to pay a pretty high price in the grocery store. Or it would be ideal to serve as an appetizer (since then you can get the intense flavor for a lower price by serving smaller portions). In that case, a couple of sauteed shrimp or some smoked salmon for example could definitely enhance this dish and make it truly delectable. If you appreciate the flavor of the Jerusalem artichoke and you want to serve it as a main meal on the other hand, then you could always use it in combination with some potatoes and/or parsnips. This would in turn make this dish a bit more hearty and a bit cheaper, if you don't have access to affordable sunchokes. This method will dilute the flavor of the roots a bit, however it will still be delicious. Sautee the shallots, in butter until soft. Add peeled and chopped Jerusalem artichokes, add broth and cream and cook until soft. Blend until smooth, and taste with salt and pepper. Do the same method as The Pure Way, but add potatoes and / or parsnips when you add the Jerusalem artichokes. (Make sure to cut the Jerusalem Artichokes much smaller then the potatoes, as they take a lot longer to cook). Blend when soft and add a touch of cream at the end. No matter how you choose to make your soup, you will experience a flavorful and unique dish. 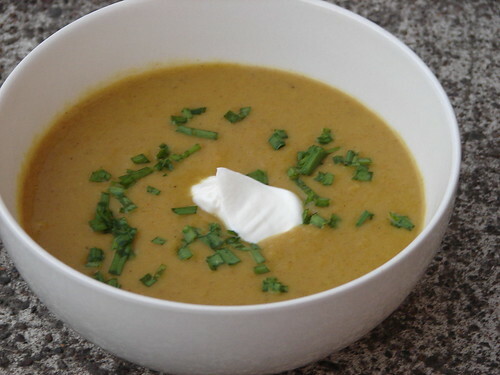 If you make a pure soup for appetizer, then add more cream and butter. This will intensify the experience and the flavor of the Jerusalem roots and make them truly unforgettable.